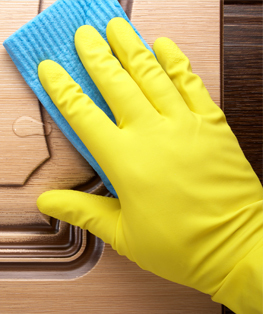 Clearly define important services or products. Enhance your security protocol. 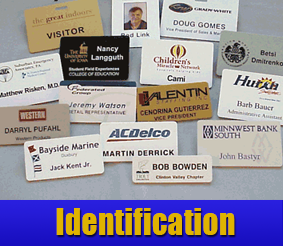 We manufacture and print high-quality name badges and mechanical ID tags for commercial clients across the United States. Ford Signs is a sign manufacturer based in Sioux Falls, South Dakota. Established in 1965, we supply and manufactur exterior and interior ADA signage, architectural signage, and cast bronze and custom dimensional letters and logos. We offer solutions where our competitors cannot and maintain a low overhead leading to lower prices without sacrifice to services. 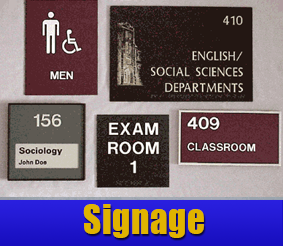 Contact us to request a quote for services from a renowned sign manufacturer.